NO CDD NO HOA!!! This Charming home is perfect if you have been looking to live on the water and truly experience the Florida lifestyle. Kitchen is upgraded with beautiful granite counters and a stunning mosaic tile backsplash. Home is open and airy and during the rare cooler nights enjoy snuggling up by your fireplace! Home has a great Florida room for entertaining, and pool table stays! Your new backyard is large, fenced, and offers privacy with no backyard neighbors. On hot days take a dip in your pool or layout on your deck and catch some sun! 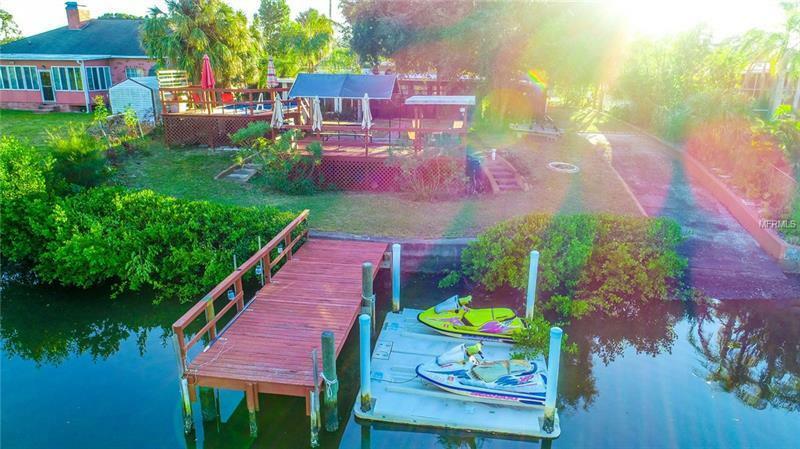 There is plenty of space for all your outdoor toys and this home offers a rare private boat ramp. No need to waste time putting the boat on a trailer and having to drive, you can just slip right in the canal and go! If you don't want to go out on the boat you can fish right off your dock, or hop out on a jet ski since you have a separate dock for that! The roof was done in 2014!! Don't miss this rare opportunity to buy on the water in the heart of Apollo Beach!